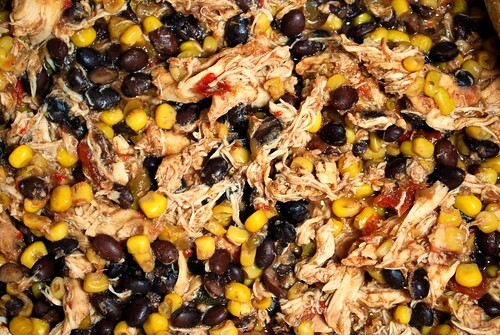 I’ve seen a lot of different versions of recipes for Salsa Chicken in the crockpot floating around and decided to throw my two cents in! Here’s my version – it’s easy, healthy, and full of flavor. I hope you enjoy it! 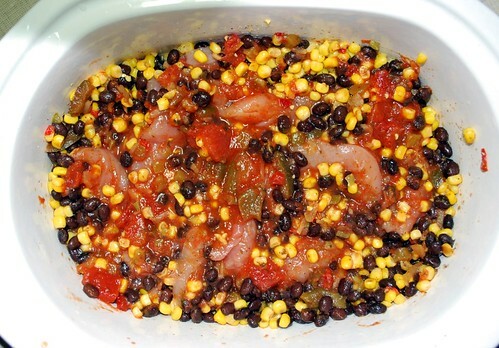 Place chicken breasts, salsa, mexicorn, beans, lime juice, cumin, and fajita seasoning in your crock pot. 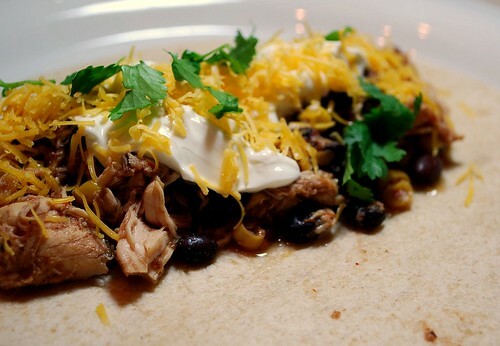 Mix ingredients up a little bit, making sure to cover chicken. Cook on low for 8-10 hours, or on high for 4-6 hours. Serve as is OR you can shred the chicken up, stir it into the veggies, and serve it with tortillas. 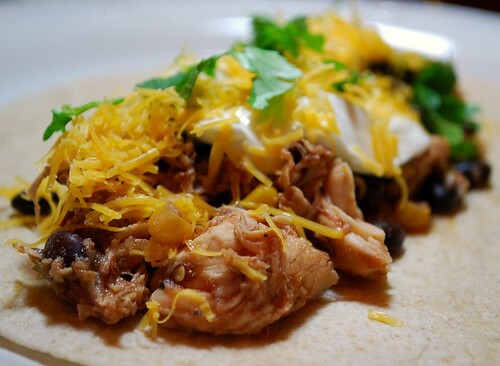 Garnish with cilantro, sour cream, and shredded cheese.